As I explained in a recent article (links.org.au/node/3714), the Assad regime bears the main responsibility for the exacerbation of sectarianism in the Syrian conflict, on both sides. Though the regime is purportedly “secular,” it is heavily dominated by members of the Alawite religious minority to which Assad and his ruling family belong, especially the military-security apparatus, and this fact combined with the level of slaughter conducted against the mostly Sunni insurgent peasantry and urban poor has facilitated a sectarian mirror among parts of the opposition seeking the overthrow of Assad’s rule. “Main responsibility” does not mean the Islamic extremists are not also responsible for their own actions; it simply means that overwhelming responsibility rests with the regime which uses its massive superiority in advanced weaponry to extraordinarily barbaric effect against the people who are justifiably in revolt against the tyranny, and it is this context of a Syria dominated by such a regime, by such an awesomely armed capitalist state apparatus, that leads to similar kinds of barbarism, whether in thought or in practice, among parts of the opposition. In the past I put the blame on other regional states, mostly Saudi Arabia, Qatar and other Sunni-based Gulf monarchies, for deliberately fuelling the Sunni-sectarian Islamist parts of the opposition, in order to help Assad divide the Syrian masses on religious lines, thereby undermining the initial democratic character of the uprising. In both articles, I stressed that Israel held the complete opposite point of view to the Gulf states, that in fact it saw Assad as the lesser evil to any of the forces, democratic-secular, Islamist or jihadist, trying to overthrow it; and that the Saudi-Qatari position should not be confused with the US position (pushing for a cosmetic ‘Yemeni solution’ rearrangement within the regime to defuse the revolution), as these states are acting on their own interests and are not US puppets. While in this article I will show why my earlier view on the Saudi-Qatari role was wrong, to the extent there was any truth in the claim they support Islamists in Syria, then the clear distinction I made to US and Israeli views and interests remains. Indeed, it is still correct to refer to the more extreme sectarian and reactionary elements as a second, mirror-image, counterrevolution. 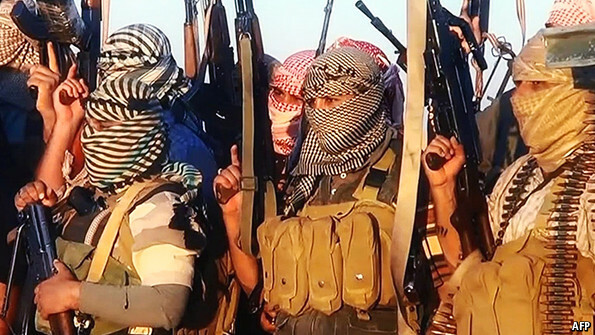 However, this side of the counterrevolution is led unambiguously by the formerly al-Qaida affiliated Islamic State of Iraq and Sham (ISIS), an organisation which is at war with all other parts of the resistance (secular, Islamist and even the more moderate al-Qaida affiliated Jabhat al-Nusra); which is widely suspected of being in cahoots with the regime; and which certainly has no connection with the Saudi and Gulf monarchies who rightly view al-Qaida as their mortal enemy. The issue therefore is the relative role of Saudi Arabia and the Gulf states in the promotion of sectarianism on the anti-Assad side. While they may have played some role, as I noted in my previous article, “a hard look at the reality forces me to say that this factor has been greatly exaggerated and misunderstood” (including by myself). I have no special desire to want to admit that I was (partially) wrong in these cases. I have no political/emotional attachment to not attacking reactionary and tyrannical regimes like those in Saudi Arabia and the Gulf, and therefore blaming them, along with the regime, for the sectarian carnage. In fact, this discourse is very neat and comforting to me, and to other leftists, including many who probably found my earlier articles commendable for exactly this reason. And the rationale appears to be excellent. However, there is one problem with this entire scenario: it only bears a very minimal connection to facts, if any. Even if you look back at the articles where I wrote these things, it would not be difficult to notice the lack of concrete evidence I presented. My “hard look at reality” can be summed up quite simply: I read more. The Gulf and Syrian Islamism: States or private networks? In fact, in the case of Syria in particular, we find that general, sweeping statements such as this are often of little use. But even this general statement makes it clear that only “some” of this “Islamic” funding is state-connected; overwhelmingly this funding and arming of “Islamist” groups comes from non-government “Islamist” networks – of which, more below. Moreover, we need to connect this discussion back to the main problem: the alleged weakness of the secular Free Syrian Army (FSA) vis-a-vis Islamist militias. This is usually explained as being caused by better armed and funded Islamist groups attracting more fighters, compared to the lack of arms in the hands of secular groups. As has been very well-documented, in most cases these fighters have no interest in the Islamist or jihadist ideologies of the groups they join – more important is being able to fight effectively and/or to help provide for their impoverished families while they fight. This is normally explained by the fact that the “secular” Western imperialist powers provide zero arms to the secular FSA, while “the Gulf” heavily supplies the Islamist groups. The first part of this equation is absolutely true; the second part is true in as much as we mean non-state Islamist networks in the Gulf, rather than the regimes. Above all, what the study by Kodmani and Legrand makes abundantly clear right throughout is that it is the jihadist groups, particularly the two al-Qaida franchises (Jabhat al-Nusra and ISIS), that are better armed than both the secular FSA and the moderate Islamists, and that above all it is these groups recruiting on the basis of better arms and funding; many moderate Islamist groups are little better armed and funded than the FSA. Yet while the report notes that the Gulf regimes have funded some moderate Islamist militias – more on that below – no-one who is remotely informed about the Syrian situation suggests the Gulf regimes have armed or funded these anti-Gulf regime jihadist groups. My response will consist of five parts. First, the initial reaction of the Gulf to the Syrian uprising, which was support for the regime, and what this means in terms of the theory. Second, who Qatar and Saudi Arabia began backing when they finally turned against the regime. Third, my opinion on why this occurred. Fourth, the sharp Saudi turn from mid-2012 towards the bourgeois-secularist leaderships and the reasons for this. Five, a look at some other problems with the theory. First, whether or not we judge that the Gulf later decided to use sectarianism against the revolution, that was not their first response. Indeed, the first response of the three regional powers who later emerge as the key backers of the Syrian resistance – Saudi Arabia, Qatar and Turkey – was to use Assad against the revolution. For example, on 3 April 2011, Qatari Emir Hamad bin Khalifa Al Thani sent a letter to Assad declaring Qatar’s support for Syria amid “attempts at destabilization” (https://now.mmedia.me/lb/en/nownews/qatari_emir_voices_qatars_support_for_syria). In late March, United Arab Emirates President Sheikh Khalifa bin Zayed bin Sultan al-Nahayan likewise called Assad to reaffirm that the UAE stands by Damascus (https://now.mmedia.me/lb/en/latestnews/uae_reaffirms_support_for_syria). Qatar’s close ally, Erdogan’s AKP regime in Turkey, likewise offered Damascus support, only with the mild proviso that Assad carry out some of the “reform” that he had promised. The Saudi Arabian monarchy initially made similar robust declarations of support to the regime; indeed, even as late as July, just as Qatar was finally suspending relations with Damascus, Saudi Arabia stepped in with a long-term 375 million riyal (US100 million) loan to Damascus (http://www.atimes.com/atimes/Middle_East/MH11Ak02.html); this rivalry between Saudi Arabia and Qatar, we will see, played as much a role as the later antipathy either felt towards Damascus. Even when the Gulf Cooperation Council did finally urge an end to “bloodshed” in Syria and called for major reforms on August 6, expressing their “sorrow” about the situation, they still stressed their support for “preserving the security, stability, and unity of Syria” (http://english.alarabiya.net/articles/2011/08/06/161072.html). Notably, this was no different to US policy; responding to questions in Congress regarding the different US reaction to events in Libya, where NATO was then intervening, and Syria, Hillary Clinton responded: “There is a different leader in Syria now [meaning Bashar, as opposed to his father]. Many of the members of Congress of both parties who have gone to Syria in recent months have said they believe he’s a reformer” (http://www.cbsnews.com/htdocs/pdf/FTN_032711.pdf). Even after months of NATO bombing Libya, and Assad slaughtering protesters in Syria, the US was still urging “dialogue” between regime and opposition in Syria (http://www.guardian.co.uk/world/2011/jun/30/syria-plan-reform-bashar-al-assad). Of course this initial strong support to Damascus can be explained simply as “class trumps sectarianism” when revolution threatens all, before new tactics had to be considered. However, a look at the situation on the eve of the revolts also shows clearly that the allegedly strong “sectarian” motivations for backing Sunni “Islamists” in Syria by these powers was absent; if it thus came as an afterthought later, as a new strategy for deflecting the revolution as many have suggested, then there was nothing necessary about this particular course of counterrevolution being chosen. In fact, Qatar and Turkey had been the closest allies of the Assad regime in the region; the Assad, al-Thani and Erdogan families even had Black Sea holidays together. This is connected to the fact that, despite common misperceptions nowadays, the Sunni Muslim Brotherhood, which Qatar was sponsoring, and which is related to the ruling AKP in Turkey, was not particularly sectarian towards Shia; in fact Turkey also had excellent relations with Iran at the time, and in the Lebanon disputes, where Saudi Arabia had backed the Sunni Future Movement against Hezbollah and other groups connected to Syria, Qatar in fact had been pro-Hezbollah – probably, if for no other reason, to spite its Saudi rival. The close relationship between Hamas (the Palestinian wing of the MB) and Hezbollah was another example. More generally, as has been widely analysed, this alliance was not just about leaders liking each other, or about lack of sectarianism: it was also about the fact that Assad Junior’s neo-liberal reforms had brought loads of foreign capital into Syria, much of it from the Gulf, and the star in that show was none other than Qatari capital. Despite Qatar and Turkey, however, it may be argued that Saudi Arabia and Iran already saw themselves as geopolitical rivals, and thus promoting sectarianism, or at least using existing sectarian alignments in the region to bolster one’s geopolitical position against the other, was logical. This logic had manifested itself around the middle of the last decade over Lebanon, when rival March 8 and March 14 coalitions of Lebanese sectarian parties lined up with Saudi Arabia on one side and Syria and Iran on the other. However, this blimp in Saudi-Syrian relations masks the fact that a Saudi-Syrian alliance had been the guarantor of rule by a coalition of sectarian parties, representing the rival wings of the Lebanese oligarchy, from the Taiff agreement in 1990 right up until 2005. Not surprisingly, therefore, the 2005 shakedown was basically a rearrangement to prepare a new deal for Lebanese capitalist stability. In late 2010, Assad and Saudi King Abdullah met in Damascus and exchanged “senior Orders of Merit,” in preparation for their trip to Beirut, where they were photographed holding hands, to hammer out an agreement between Future Movement head Hariri and Hezbollah head Nasrallah, known as the Syrian-Saudi Initiative, to revive the 1990-2005 order in a new package. In fact, claiming the road to stability in Beirut ran through Damascus, Abdullah even instructed Hariri “to grant Hezbollah all the key government posts it was seeking for itself and allies in the March 8 alliance, and to issue a cabinet policy statement that pledged to “protect and embrace” the arms of Hezbollah” – indicating just how completely removed Saudi policy was from some kind of fundamentalist “anti-Shiite” sectarianism at the time of the outbreak of the Syrian uprising (http://www.atimes.com/atimes/Middle_East/MH11Ak02.html). Qatar finally suspended relations with Damascus months later, on July 17, after pro-regime protesters in Syria, angry at (Qatar-funded) Al Jazeera’s coverage of the Syrian uprising, pelted the Qatari embassy in Damascus with eggs, rocks and vegetables. Saudi Arabia eventually followed suit and broke relations in August. The fundamental reason was that the Assad regime’s spectacularly, and surprisingly (even for such a regime) brutal repression had vastly expanded the uprising, and by July-August, while still overwhelmingly a civil uprising facing machine guns to the chest, some parts of the revolution had begun to fight back with arms. Recognising there was no chance of Assad crushing the revolt, Saudi Arabia, Qatar, Turkey and the US slowly moved to a new strategy: the Yemeni solution, aiming to maintain the core of the capitalist regime, especially its military-security apparatus, in power, but for Assad and his immediate henchmen to step down, and bring some leading bourgeois oppositionists into the regime, to defuse the revolution. There is no great body of evidence that the Gulf states and Turkey immediately chose to direct all support to Sunni Islamists (let alone hard-line Salafis) and none to the secular FSA; however, to the extent that there is some evidence of connections to Islamist militias in this early period, ironically it is religiously moderate, and less-sectarian, Qatar that seemed to play this role rather than the Saudi regime with its extremist internal religious regime and well-developed anti-Shia discourse. Turkey hosted the Syrian National Council, the first exile-based opposition body, which was led by veteran Communist George Sabra, but was largely dominated by exile-based Muslim Brotherhood cadres. Qatar had already adopted the MB as its horse throughout the region (in Egypt, Libya, Tunisia and now Syria), and as a soft-Islamist party, the AKP was closely connected. However, as an exile-based group, it initially had little connection with the Free Syrian Army as it emerged on the ground in Syria, largely led by defecting Syrian officers, with a strong secular and Syrian nationalist background. In March 2012, a new coordinating body was set up between the SNC and the FSA, with Saudi Arabia, Qatar and Turkey agreeing to direct funds via the FSA external command, also based in Turkey. However, to what extent this aid got to the FSA on the ground, and the politics of which FSA groups got it and which didn’t, and even the relations between the exile based FSA leadership and the FSA on the ground, are all issues around which there is little clarity even today. It wasn’t until early to mid-2012 that specifically Islamist armed militias began to form in Syria. By all accounts, the growth of a moderate Islamist section of the revolution, alongside its more secular component, was a home-grown, “organic” development, based among the more socially conservative Sunni peasantry, and the urban poor in the new sub-urban shantytowns, who had been ravaged by Assad junior’s neo-liberal reforms, and who had traditionally been much less impacted by the official “secularism” of the regime and its bourgeois and urban upper middle class base. In addition, compared to the south of Syria, the north has tended to be more conservative as a whole (https://now.mmedia.me/lb/en/commentaryanalysis/the-southern-front). Working via its Turkish ally to the north, some Qatari and MB funding thus began to go to a number moderate Islamist formations in the north, some with tenuous MB connections. These included the Suquor al-Sham brigade in Idlib, formed in early 2012, the Liwa al-Tawhid brigade in Aleppo, formed in mid-2012, and the nation-wide network Ahfad al-Rasoul, which also originated in Idlib. However, these groups all considered themselves to be part of the FSA, and the MB itself mainly works through non-Islamist-specific channels such as the Syrian National Council and on the ground with the FSA, so the extent to which Qatari state funding went specifically to Islamist as opposed to secular FSA bodies is much less certain than often assumed. Far from promoting sectarianism, the strikingly moderate Liwa al-Tawhid is well-known for protecting local Christians in Aleppo against jihadist threats (http://www.dailystar.com.lb/News/Middle-East/2013/Sep-21/232025-christian-hostel-in-aleppo-has-own-view-of-jihadist-rebels.ashx#axzz2gfb4z1J2); while Suquor al-Sham leader, Ahmed Issa, though seen as marginally more hard-line as an Islamist, does not push sectarianism, declaring he “welcomes an alliance with any movement or sect, including the Alawite sect, in order to achieve our goal which is to overthrow this regime” (https://www.academia.edu/5825228/Syrian_Jihadism). It could thus be claimed that to the extent that Qatar and the MB did eventually promote a number of moderate Sunni Islamist forces, which was part of the opposition becoming more “Sunni” in a general sense, none had any relation to “jihadism,” and none were even remotely connected to conceptions of “sectarian war” against the Alawi or Shia. Moreover, as members of the various and changing coalitions of military forces under the general title of “FSA,” these forces were officially fighting for a government program that only talked about democratic republic and so on; despite the MB’s role in the SNC, it had no “Islamist” program whatsoever. The role of Saudi Arabia was much less prominent at this early stage, but it was only at this stage that we can talk about a Saudi relationship with Islamist forces at all. Due to its hostility to the MB, and rivalry with Qatar, Saudi Arabia initially avoided specifically Islamist groups, and to the extent that it may have tried to push a more “Islamist” framework, it chose to do this through influence within the mainstream FSA, led by military defector Riad Mousa al-Asaad; its strategy was always more aligned with attempting to co-opt “power secularists,” particularly with military connections (more on this below). The Saudis’ main connection to Sunni Islamism at this early stage seems to have been via an influential “televangelist” Saudi-based Syrian preacher, Adnan al-Ar’ur. He had been known for years using his radio show to debate Shia preachers and was clearly sectarian in his outlook. His fervent support for the uprising gained him much support in Syria, but there is much less evidence that his sectarian ideas were influential as such. Staying within the framework of the FSA, the regime was able to use his sermons to slander the FSA, and even dub him the “voice of the FSA” in order to taint it with the brush of sectarianism, an assertion the FSA vigorously denied. His most infamous quote was one where he said that those Alawites supporting the regime and who “violated sanctities” (presumed to mean who raped women) would be chopped up and fed to dogs after the victory. While this statement was obviously barbaric and grist in the regime’s propaganda mill, in the same speech he also said that “no harm would be done to those (Alawites) who remained neutral” and “as for those supporting the revolution, they will be with us” (Thomas Pierret, 2013, Religion and State in Syria, Cambridge Middle East Studies), while also endorsing an open letter by the Muslim Brotherhood and the League of Syrian Ulama to the Syrian religious community stressing that “none would be condemned on the basis of his communal identity” after the revolution. Reassuring? Perhaps not. But the issues here are, firstly, that apparent Saudi support for someone like Ar’ur was somewhat anomalous (as we will see below); secondly, that his role was temporary, before the Saudis brought him to order and then his role and influence disappeared; and finally, the question of chicken and egg in this connection. The question here regarding this Qatari support for moderate Islamist militias, and this Saudi connection to Ar’ur, is that of cause and effect. It is my view now that both the growing “Islamism” and the growing Sunni sectarianism – two factors that, while related, should not be confused – were essentially home-grown (the first related to the class divide the characterised the revolution, the second related more specifically to the terror unleashed by the Alawi regime), and it was this dynamic, together with the breathtaking level that the terror and repression against the Sunni peasantry reached, that tended to draw in the Gulf states, pressured them to live up to their claims to be protectors of Sunni Islam in a situation where the regime is creating a new Palestinian-style diaspora, rather than the other way around; though of course in any situation this complex, the chicken and egg will get confused throughout the course of events. “A more accurate characterization is that the Syrian conflict’s internal dynamics have reshuffled regional alignments alongside unprecedentedly clear-cut sectarian dividing lines and that this has often occurred against the preferences of regional state actors − including Saudi Arabia and Iran. This is not to deny that regional actors sometimes contributed to deepening the sectarian character of the Syrian conflict. When they did so, however, it was generally as a by-product of expedient policies that followed sectarian patterns for lack of alternatives, but were not part of a deliberately sectarian agenda. In fact, outside of Syria, wholehearted exploitation of sectarian sentiments in relation to the conflict has often been the preserve of private actors that are not constrained by raison d’etre, in particular transnational Sunni (Salafi) and Shia networks” (http://www.usip.org/sites/default/files/PB162.pdf). Thus the role of the Gulf regimes, especially Saudi Arabia, has been greatly exaggerated and misunderstood; when they did come in to aid Sunni forces, it was more reactive, following the situation, rather than causal. The case of the Saudi-based preacher for example. As shown above, the Saudi regime waited till mid-August 2011 to condemn the Assad regime, and as late as July gave Assad a massive loan; yet Ar’ur had been making fiery sermons supporting the uprising from the earliest repression of the Deraa protests in March. Such preaching had erupted all over the Gulf and throughout the region before either Saudi or Qatari moves against the regime; the existing sectarian dynamic in Syria led to widespread identification among the Sunni masses of the region with the new “Syrian Sunni Palestinians”; the Islamist and jihadist leaning sections of the bourgeoisie of the region sought to monopolise the sentiment; and the preachers gave them the ideology to “lead” it with. “For the last two years, (former) MPs like (Hamad al-) Matar (apparently close to the Brotherhood – MK), as well as Kuwaiti charities, tribes, and citizens have raised money – possibly hundreds of millions of dollars – for armed groups fighting the Syrian regime. In many ways, the financing is highly organized. Smartly aligned to a given theme, battle, or season, campaigns are broadcast on social media and advertised with signage and elegant prose. “But Matar’s account offers a glimpse of just how uncontrollable — even random — this support has become. In Kuwait, private financing came into political vogue in Sunni circles, bringing aboard legions of public figures seeking to associate themselves with support for the Syrian rebels. That broad base of popular support among Sunnis has rendered the phenomenon nearly unstoppable for the Kuwaiti government. “Suddenly, everyone in Kuwait knew which diwaniyas and charities had funded a brigade. And that visibility attracted a new cohort of donors. Kuwait’s large Sunni tribes held massive fundraisers, in one case reportedly raising $14 million in just five days. They became competitions: Could the Ajman tribe outbid the Shammar? Social pressure increased the take — and made participation a necessity for many of Kuwait’s most prominent politicians” (http://mideastafrica.foreignpolicy.com/posts/2013/12/04/shaping_the_syrian_conflict_from_kuwait). The Gulf rulers, who initially wanted to support Assad, were carried by this wave, and had to appear to lead it in order to coopt it, prevent their enemies (the jihadists) from doing so, and thus protect their thrones (while Saudi Arabia and Qatar also tried to ensure leadership vis a vis each other). Private Gulf funding associated with opposition to Gulf regimes. Chris Slee, in a comment on my recent article where he defends the view I used to support, notes that, “to complicate the picture, it should be noted that not all Sunni-sectarian groups are backed by the US and the Gulf states. Some groups, such as ISIS, are backed by sectors of the bourgeoisie and clergy in the Gulf states that are opposed to the existing Gulf regimes. These sectors of the ruling classes oppose the Gulf regimes’ subservience to the US, but do so from a reactionary ideological position.” Chris particularly suggests that ISIS “could be a problem for the US in the future” as it “could be an obstacle” to the kind of Yemeni solution outcome the US aims to achieve. This is all a monumental understatement. First of all, it is not only ISIS that is already (not “could in the future”) a massive problem for the US and Gulf ruling classes; this is true of all the hard-line Salafist groups and even the bulk of mainstream Islamist groups, all of which are relentlessly anti-imperialist, all of which reject any kind of solution that includes elements of the regime, and none of which the US has ever had anything to do with. Second, it is not only “groups such as ISIS” which are backed by the Gulf opposition bourgeoisie rather than the regimes. When the early literature about Gulf support to Sunni Islamist rebels is looked back at more carefully, virtually all of it – at least that which offers any concrete evidence – is precisely about these private networks in the Gulf, the religious charities, the Salafist preachers, the oppositionist wings of the bourgeoisie backing the Syrian Islamists – not the regimes. The fact that they are based among wings of the opposition bourgeoisie is very crucial to this analysis. And it was this element of the preachers, funders and armers that dominated the wave of “Sunni solidarity” from the very outset in the latter part of 2011. “Since 2009, a coalition of Islamist, tribal, and youth groups have banded together to demand government and social reforms, among them an end to perceived government favoritism toward the mostly-Shiite merchant class. Now, Syria’s struggle seemed to fit into a narrative of Shiite repression of the Sunni common man. “Many of the constituencies most active in fundraising have also been the most vocal opposition to the government. Dozens of Islamist and Salafist MPs boycotted the last two elections, but their ability to draw people to the streets is still a looming reality in Kuwaiti politics. “”The government cannot do anything because if they move against such activities, the Islamist parties will start shouting loudly against the government,” Bashar AlSayegh, the editor of Kuwait’s Al Jareeda newspaper, explained” (http://mideastafrica.foreignpolicy.com/posts/2013/12/04/shaping_the_syrian_conflict_from_kuwait). This giddy activity of the Gulf oppositionist bourgeoisie, preachers and Islamic charities fed into various wings of Islamist fighters in Syria, including, not surprisingly, al-Qaida, which appeared in Syria in early 2012. At this time, around the end of 2011 and early 2012, the particular conjuncture had produced a mixture of factors that, when jumbled together with little analysis, could easily create the conspiracy theory that has dominated red-brown pro-Assad propaganda ever since. The escalating repression had by then generalised the armed component of the opposition (whether secular or Islamist), a natural political-social process; Saudi Arabia and Qatar were now firmly pro-opposition and to one extent or another had some vague links with some Islamist forces; preachers from the Gulf were launching anti-Assad propaganda that was also increasingly sectarian; Jabhat al-Nusra, the Syrian wing of al-Qaida, announced its formation in January 2012; and a number of terrorist bombings hit civilian targets in Damascus. Jumbled together, the UFOish theory of “US-Gulf-Jihadist wicked conspiracy to destroy Syria” had been hatched. In reality, however, the entrance of al-Qaida into the conflict demonstrated just how far out of the hands of the Gulf monarchies (let alone the US) the Syrian uprising had gone. The ravings the conspiracists have continually made for several years now about “Saudi Arabia arming the jihadists” or even of “the US and al-Qaida” being on the same side are so breathtakingly absurd that it is difficult to know where to start. A good place might be to remind people that it was al-Qaida that bombed the World Trade Centre and the Pentagon with hijacked American passenger planes, that most of the 21 terrorists were originally from Saudi Arabia, and that al-Qaida represented a wing of the Saudi bourgeoisie that was fed up with the narrow rule of the Saudi and Gulf monarchies, which both excluded the majority of their class from political power, and which kept their nation in subservience to US imperialism. Anyone who thinks the Saudi nationality of most 9/11 attackers and the Saudi origin of al-Qaida means that the Saudi monarchy attacked the US in 2001 is welcome to their deluded world-view; such people also probably think that the Saudi monarchy is arming al-Qaida in Syria. And the importance of this from the point of view of the launching of “sectarian war” in Syria is that it is overwhelmingly the al-Qaida franchises, Jabhat al-Nusra, and especially ISIS, that have forcefully inserted a violent sectarian discourse, and a run of actual sectarian crimes, into the Syrian rebellion, not the overwhelming majority of mainstream Islamist groups. And it was Jabhat al-Nusra in particular that took responsibility for some of those terrorist attacks in Damascus at the turn of 2011-2012, though not for all (and there is also evidence that the regime stage-managed at least some of them, see for example defector general Ahmed Tlass’s account: http://www.noria-research.com/2014/04/28/syria-testimony-of-general-ahmed-tlass-on-the-regime-and-the-repression/). Furthermore, when getting back to trying to understand the issue here – why many Islamist forces are better armed than secular FSA forces – the biggest contrast is not in fact secular fighters versus Islamists, but the majority (secular and mainstream Islamists) versus the jihadist/al-Qaida forces. And the reason the latter are better armed than most has absolutely nothing to do with the fantasy of arms from their arch-enemies in the Gulf monarchies. Rather, their key strength is that the flow of arms and money to these jihadists from the anti-monarchial Gulf bourgeois opposition is facilitated by al-Qaida in Syria being an extension of al-Qaida in Iraq, which exists just across the open Syria-Iraq border in Iraq’s Sunni Anbar province. Thus with arms, organisation, infrastructure, cadres etc directly flowing between Iraq and Syria, we can say that the most clearly and violently sectarian part of the Islamist opposition is also the section which arose the least organically within Syria, but is also the section the least associated with the Gulf monarchies. Saudi reaction to MB and jihadists: Turn secular! The Saudi monarchy was now thus at a curious juncture. Opposed to the democratic revolution, it originally supported Assad, unconcerned with sectarian issues or even its rivalry with Iran. As the Sunni solidarity wave swept the region, the monarchy was drawn in to “support” it in order to not lose it; which coincided with the need to undermine the democratic thrust of the uprising by giving it a Sunni coloration, even if the regime didn’t initiate it; and as Iran was also drawn in, on the other side, this thus reignited regional rivalry with Iran and made it more of a zero-sum game for the Saudis geopolitically. However, the radicalisation of that Sunni wave had now given rise to a third and fourth Saudi enemy (after democratic revolution and Shiite/Iranian sectarian/geopolitical opponent): the MB-linked militias backed by Qatar, and now the rise of these anti-Saudi jihadist groups, including Jabhat al-Nusra – the whole of Syria looked like a mass mobilisation, on all sides, of mortal enemies of the House of Saud. Hemmed in by the wrong kinds of Sunni Islamists, it may be surmised that the Saudis would find some “national”, non-al-Qaida-linked, Salafists to support as a wedge between the moderate Brotherhood and the radical jihadists, without the “international revolutionary” pretensions of either. An obvious choice could be the “national-jihadist” Ahrar al-Sham (AaS), set up in early 2012. Yet evidence for any Saudi support for AaS is remarkably thin. The fact is that AaS is one of the militias whose major funders are well-known, as Pierret explains, “it has been funded from the onset by the politicized wing of the Kuwaiti Salafi movement” whose leading ideologue Hakim al-Mutayri “holds views that are particularly abhorrent to Saudi rulers, namely a curious mixture of political liberalism, Jihadi-like anti-Westernism, and hostility to Gulf regimes” (http://mideastafrica.foreignpolicy.com/posts/2013/08/09/external_support_and_the_syrian_insurgency), and so unlikely to be of much use to the Saudis. Even less so given that, despite AaS’s vocal criticism of JaN for its links to al-Qaida, this has never stopped it from engaging in very active collaboration with JaN, and for a time even ISIS, on the ground. What all this meant is that, from around July 2012, Saudi Arabia, while cracking down on Salafist networks in the kingdom that were finding the Syrian opposition, and pulling back on whatever support it may have been providing some small Islamist groups, swung right over to directing all support through the official opposition secular military and political bodies. From December 2012 this meant all military support was to go through the Supreme Military Command (SMC) of the FSA and all political support directed to the Syrian Opposition Coalition (SOC), when they were both set up with strong Saudi support; and this support came in via Jordan in the south as opposed to Qatar’s northern base in Turkey. While it may sound surprising that the Saudis were backing the secular leadership, it is fully in tune with the massive Saudi support for the al-Sisi’s Egyptian “secular” coup against Morsi’s MB regime in mid-2013. As Pierret explains: “Saudi Arabia does not only despise the Muslim Brothers, but political Islamic movements and mass politics in general, which it sees as a threat to its model of absolute patrimonial monarchy. Saudi policies are not driven by religious doctrines, as is too often assumed, but by concerns for the stability of the kingdom, which translate into support for political forces that are inherently conservative or hostile to Islamist movements” (http://mideastafrica.foreignpolicy.com/posts/2013/08/09/external_support_and_the_syrian_insurgency). The reason Saudi Arabia cannot support al-Sisi’s equivalent in Syria, ie Assad, is only due to sectarian reasons, so it therefore it aims to achieve the same via co-opting defected former Baathist, secular Sunni, military officers that head the SMC. Regarding the jihadists, Pierret rightly notes that “the idea that Gulf monarchs may support the franchise of an organization – i.e. al Qaeda – that brands them as apostates and waged an armed insurgency on Saudi soil a decade ago does not make sense,” and similarly, a decade earlier, the early 1990s, saw the Sawha (Awakening) insurgency against the Saudi rulers led by allies of the MB (not to be confused with the unrelated US- and Saudi-backed Sunni movement in Iraq using this same name that confronted al-Qaida late last decade). This is all the more important when one takes the time to look at a map, and note the closeness of the Saudi, Jordanian and Syrian borders. Like Saudi Arabia, Jordan is a monarchy, but one so far little affected by the Arab uprisings; as a fellow monarchy next door, Saudi Arabia wants to keep it that way. And the Jordanian monarchy’s main opposition is the Muslim Brotherhood, and so would be threatened by a new Syrian regime involving the Brotherhood or related Islamists, let alone by jihadist victories, a contagion whose next stop would likely be Saudi Arabia. Talk of past Saudi promotion of Sunni sectarianism and “Wahhabism” at other times and in other places, for example support for the Taliban in distant, non-Arab Afghanistan, or perhaps in Chechnya, is thus irrelevant to the issue at hand. 1. Small brigades of “apolitical” or “quietist” Salafis aligned with the Saudi religious establishment, such as the Ahl al-Athar Battalions (which Pierret says is funded from Kuwait by the quietist Heritage Association) and the Nur al-Din Zanki Battalions (which apparently passed through other Islamist groups such as Tawhid until the Saudis were able to split them away). This means Salafis who have no political pretensions whatsoever, and who only push their ideology in the social field; they believe the world of politics is for non-religious bodies, in other words their ideology replicates precisely the Saudi model. This means that they work within the FSA, and their Saudi-backed coalition, the Front for Authenticity and Development (FAD), whose political platform is “strikingly unambitious and presents no distinctly Islamist feature” (http://mideast.foreignpolicy.com/posts/2013/08/09/external_support_and_the_syrian_insurgency), and also incorporated some early defector officers and tribal groups aligned with the Saudis. All in all however, the FAD likely has several thousand troops, one of the smaller bodies among the Syrian rebels. 2. An idiosyncratic coalition the Saudis supported within the exile-based Syrian Opposition Coalition (SOC) against the Qatar- and MB-backed forces, including the liberal-secular Christian and long-term dissident Michael Kilo; Ahmed Jarba, also a secular figure from the Shummar tribal group (which stretches into Saudi Arabia), and member of the Revolutionary Council of Syrian Tribes; and liberal Islamist Ahmad Tomeh. Saudi Arabia backed such people taking a more prominent role in the opposition political leadership after the SOC was launched in December 2012, to expand political leadership beyond the SNC, which was seen as dominated by the Qatari-backed MB. The Saudis appear to have no ideological connection with such people, and only see them as a bulwark against their rivals. While Qatar got its Brotherhood-aligned Ghassan Hitto up as prime minister of the SNC, the Saudis eventually managed to depose him and replace him with Jarba and Tomeh. The alliance with Jarba may have a tribal connection, his tribe stretching from Syria across parts of Jordan into Saudi Arabia. 3. The Saudis began moving their main support among the military opposition to various defected ex-Baathist military officers, ie, what we might call “power secularists,” both the secular leaders of the exile-based SMC and various other officer-defectors, as Pierret notes, “among the least religious component of the rebel leadership.” Pierret notes the early Saudi courting of defector officers such as Abd al-Razzaq Tlass, and explains that “Riyadh has been the driving force behind several initiatives aimed at organizing the insurgency under the aegis of defector officers rather than of the civilian volunteers that run most Islamist groups: General Mustafa al-Sheikh’s Revolutionary Military Council, General Hussein al-Hajj Ali’s Syrian National Army, the Joint Command of the Military Councils, and General Salim Idriss’s Headquarters of the Free Syrian Army” (ie, the SMC) (http://mideast.foreignpolicy.com/posts/2013/08/09/external_support_and_the_syrian_insurgency). It is also interesting to note what happened to Adnan al-Ar’ur with this Saudi turn. Apparently, from preacher he did begin to run his own “mini-insurgency,” and many rebels complained about “the havoc these militants were causing.” Now however, he “was prevailed upon to give up his own war and publicly back an initiative to incorporate the main FSA blocs under a single, joint command” (ie the SMC) (https://now.mmedia.me/lb/en/commentaryanalysis/the-southern-front). Yet since that time, little has been heard of him. There are a number of interesting implications of the Saudi support to the secular Syrian opposition. First, since most Western leftists rightly want to emphasise support to the “democratic, secular” wing of the opposition as opposed to “Islamist” forces, the idea that a tyrannical monarchy with an ultra-puritanical internal Islamist social policy could be on the same side may feel uncomfortable; that’s why it is more comforting to believe the Saudis back elements that they do not. However, the problem here is not viewing these issues in class terms. Certainly it is correct, in general, to express support for those forces advocating a democratic, secular outcome (as long as this is not done in secular-chauvinist style that views all Syrian Islamists as the same thing, a view that snubs the peasant and poor working class base of the Islamist groups). But while moderate Islamism can rightly be seen as a bourgeois or petty bourgeois ideology, let’s be clear: so is the secular Arab nationalist ideology of the defector officers and main political opposition. The class division between regime and resistance is abundantly clear; but there is no working class or socialist leadership in Syria. The Saudis thus aim to do something not terribly original: “support” the secular wing of the resistance via the bourgeois leaderships of it, in the hope of co-opting the leadership, just as progressives can support the same movement from the complete opposite point of view. In fact, not only does this correspond to Saudi support to the secular Mubarak and secular Sisi against the MB, but to Saudi policy more generally. Especially relevant in Syria’s case is the fact that the Saudis’ key allies in Lebanon next door are the secular Sunni-based ‘Future’ movement of the Hariris, which is allied with the right-wing Christian-based Lebanese Forces – not the kind of allies that would look happily at too much Sunni jihadism next door in Syria. In fact, when the jihadist Palestinian group Fatah al-Islam appeared in Lebanon back in 2007, the “Sunni” Hariri regime waged a vicious war to crush it, to the point of acting the same way as Assad is currently acting towards Palestinian camps in Syria: Hariri pummelled the Tripoli Palestinian camp where FaI had embedded itself (as an aside: Hezbollah at the time, quite rightly, condemned this state terror, a sharp contrast to its current attitude to Syria). Of course, one might say that Mubarak, Sisi and Hariri are well-established reactionary secular leaders, whereas here we are talking about a popular uprising. In that case, more relevantly, Saudi policy in Syria corresponds to Saudi support for the right-wing secular al-Fatah leadership of the PLO against the MB-linked Hamas within the Palestinian liberation movement. In my view, this does not make the whole organisation of historic nationalist Fatah a Saudi pawn – far from it – but the Saudis have co-opted the right-wing PA leaders who are now dominant over some of the more leftist and nationalist forces within Fatah. The second issue is that, if Saudi Arabia is not promoting sectarian war in Syria, then where does this leave the role of Saudi-Iranian rivalry in Syria? Doesn’t Saudi Arabia still want to win a geopolitical victory against Iran in Syria (given the rivalry also manifests itself in Iraq, Yemen and Lebanon), and wouldn’t this necessitate some kind of “Sunni” victory? The simple answer is that some kind of “Sunni” victory or at least strengthening of position can be achieved without “sectarian war” and support for Sunni extremists. After all, in Lebanon, the Saudi card is the secular Sunni ‘Future’ Movement of the Hariris, not some group of radical Salafis. Given Sunnis are the Syrian majority and that any rearrangement of the regime, even the US-preferred conservative rearrangement, would necessitate greater Sunni input, and Saudi Arabia could present this as a victory. Indeed, the Saudi mouthpiece al-Arabiya explained earlier this year that a Sunni prime minister with real power – even with Assad remaining in some capacity – would suit Saudi interests, a strikingly non-radical proposal. The article claimed the US and the Saudis “see that Syrian President al-Assad is not going to capitulate anytime soon” so “the Saudis see Assad ultimately becoming the Queen of England while the prime minister, whoever that will be—most likely a Sunni—will hold real power; a scenario the Saudi’s were originally seeking in the first place.” Notably, it also stressed that the first project of this new “type of confessional state” would be “to eradicate al-Qaeda completely” (http://english.alarabiya.net/en/2014/02/23/Saudi-Arabia-offers-U-S-solutions-over-Syria.html). The final implication of Saudi policy of support for secularists is related to the original issue, the claim that the secular FSA is losing out to Islamists because the alter get plenty of arms from the Gulf states, while the FSA doesn’t. If in fact Saudi Arabia has been arming the secular defector officers, then why doesn’t this allow the secular forces to be stronger vis-à-vis the Islamists? This can be answered in three ways. First, the fact that actual Saudi and Qatari support to any wing of the insurgency has been much less than is often assumed; second, the secular US has blocked as much as possible the arming of the secular opposition by the Saudis; and finally, the secular wing of the FSA is by no means as dead as the imperialist media and the pro-Assad conspiracists have been telling us for years. First, the abundance of reports from the ground, where fighters report getting none of the weapons that various states have allegedly sent, or only getting them in dribs and drabs, applies to both moderate Islamist militias as well as secular ones. The fact that the Saudis mostly fund secular forces doesn’t mean they get very much. In general, it is mostly the jihadists that reportedly have better weapons. What’s more, as has been widely reported elsewhere, the Saudi-Qatari rivalry has tended to make the organisation of getting arms to various rebel groups ineffective and chaotic. Further, the way analysts talk about Gulf states, or others, getting weapons to either secular or Islamist militias inside the country, often sounds as if Saudi or Qatari officials can simply cross the Syrian border and find the address of the militia they like. The reality is that funds and arms have to be directed to outside bodies, such as the SMC, based in Jordan or Turkey, and then arms get in via a number of arms dealers. While a funding state may direct the dealer to a particular group, a great deal happens in between, including corruption, theft, the preferences of these dealers, being killed or captured etc. Small wonder the rebels on the ground report getting little. “Still, rebel commanders have criticized the shipments as insufficient, saying the quantities of weapons they receive are too small and the types too light to fight Mr. Assad’s military effectively. They also accused those distributing the weapons of being parsimonious or corrupt. “The outside countries give us weapons and bullets little by little,” said Abdel Rahman Ayachi, a commander in Soquor al-Sham, an Islamist fighting group in northern Syria. He made a gesture as if switching on and off a tap. “They open and they close the way to the bullets like water,” he said.” Two other commanders, Hassan Aboud of Soquor al-Sham and Abu Ayman of Ahrar al-Sham, another Islamist group, said that whoever was vetting which groups receive the weapons was doing an inadequate job. “There are fake Free Syrian Army brigades claiming to be revolutionaries, and when they get the weapons they sell them in trade,” Mr. Aboud said” (http://www.nytimes.com/2013/03/25/world/middleeast/arms-airlift-to-syrian-rebels-expands-with-cia-aid.html?_r=0&adxnnl=1&pagewanted=all&adxnnlx=1399633250-rNCneHJq7CNq0W7aulE6SA). “While Saudi Arabia has built up large stockpiles of arms and ammunition (in Jordan) for the Free Syrian Army, the US blocked shipments until last Thursday. The US and the Saudis are involved in a multilateral effort to support the insurgency from Jordanian bases. But, according to the sources, Washington had not only failed to supply “a single rifle or bullet to the FSA in Daraa” but had actively prevented deliveries, apparently because of concerns over which factions would receive the weapons. The situation also appears to be complicated by Jordan’s fears that arms might find their way back into the Kingdom and contribute to instability there. The sources said the Saudi-backed weapons and ammunition are in warehouses in Jordan, and insurgents in Daraa and Damascus could be supplied “within hours” with anti-tank rockets and ammunition. The Saudis also have more weapons ready for airlift into Jordan, but US representatives are preventing this” (http://eaworldview.com/2013/06/23/syria-special-the-us-saudi-conflict-over-arms-to-insurgents). What is behind this US pressure we will look at in the second part of this series, when dealing specifically with the US role. Third, while the thesis that secular militias have been weakened by relative lack of arms compared to jihadist militias, and that the Islamist wing of the resistance as a whole has eclipsed the size of the purely secular FSA, is true, this should not be confused with the imperialist and left-conspiracist lie that the secular FSA is dead or tiny. There are many tens of thousands of basically secular FSA forces, as I have documented, based on a variety of sources, elsewhere (e.g., http://mkaradjis.wordpress.com/2013/09/24/report-on-relative-strength-of-armed-rebels-in-syria/). The two parts of the country where the secular FSA is at its strongest are the south – the region from the Jordanian border, through Daraa, where the revolution began, to the working class “suburbs” of outer Damascus – and the northwest, the Idlib-Hama region. And it is in these two regions that the Saudis are well-known to be supporting the FSA. Of course, as shown above, this support is restricted; and it is certainly not only the Saudi factor that has allowed the FSA to maintain strength in those regions. However, to the extent that the Saudis have been able to defy the US, the weapons they have got across the border have certainly helped. For example, in early 2013 the Saudis got some Croatian weapons though to the SMC-allied forces in the south; while out-of-date and limited in number, it did help improve the fortunes of the secular forces on the southern front, which on the whole have remained consistently better than in the north and east; indeed here they still strongly outnumber the Islamist forces as a whole. In Idlib in the northwest, it has been widely reported that the Syrian Martyrs’ Brigade (SMB), one of the largest secular FSA militias in the country, is Saudi-funded; and in Idlib, the balance between the SMB and the mainstream Islamist Suquor al-Sham (with possible Qatari-MB connections) has been maintained throughout the war. In fact, the SMB was one of the major components of the new Syrian Revolutionaries Front (SRF), a kind of north-western sub-FSA coalition set up late last year, with probably over 20,000 troops, which played a leading role in the joint rebel attack on ISIS beginning in January 2014. A final point exploding the myth of Gulf state support for radical Islamists in Syria is the continuous crack-down on these fighters in these states. Saudi Arabia has led the way. In March, a Saudi court sentenced 13 men to up to 14 years in prison “for security offences including material support to wanted Islamist militants, aiding terrorism and helping young men go to Iraq, Syria and Afghanistan to fight,” the article noting that Saudi Arabia “has sentenced thousands of its citizens to prison terms for similar offences over the past decade” (http://www.reuters.com/article/2014/03/20/saudi-militants-idUSL6N0MH1K720140320?utm_source=Sailthru&utm_medium=email&utm_term=*Mideast%20Brief&utm_campaign=Mideast%20Brief%203-20-14). Since then, the kingdom officially added the Muslim Brotherhood to al-Qaida and Hezbollah as “terrorist” organisations banned in the country; “moral or material support for such groups would incur prison terms of five to 30 years, while travelling overseas to fight would be punishable by sentences of three to 20 years.” The Saudi regime even threatened Qatar with a land, sea and air blockade for its support for the MB, and alongside Bahrain and the UAE, suspended diplomatic relations with Qatar. The Saudi crack-down on the MB has also pressured other Gulf states to do the same, especially Kuwait with its generally more liberal internal atmosphere (http://www.al-monitor.com/pulse/originals/2014/03/muslim-brotherhood-kuwait-saudi-terror.html?utm_source=Sailthru&utm_medium=email&utm_term=*Mideast%20Brief&utm_campaign=Mideast%20Brief%203-12-14#). Already in 2013, Kuwait had issued new laws criminalising “terrorist financing,” whereby “banks will be required to note down the personal details of all their clients as well as anyone making an international transfer of more than 3,000 KD ($10,500). To help track and investigate misdeeds, the Central Bank will build a new Financial Intelligence Unit with the help of experts at the IMF” (http://mideastafrica.foreignpolicy.com/posts/2013/12/04/shaping_the_syrian_conflict_from_kuwait). Despite these new laws, in April, “in a remarkably undiplomatic statement that officials said had been cleared at senior levels, (US) Treasury Undersecretary David S. Cohen called Kuwait “the epicenter of fundraising for terrorist groups in Syria”,” underscoring how relatively unregulated the situation is in Kuwait compared to the tighter control of financial flows in other Gulf monarchies – and the level of US hostility to any Gulf support to Syrian Islamists (http://www.washingtonpost.com/world/national-security/kuwait-top-ally-on-syria-is-also-the-leading-funder-of-extremist-rebels/2014/04/25/10142b9a-ca48-11e3-a75e-463587891b57_story.html). Also in April, the Jordanian parliament passed a bill granting authorities “greater powers to detain without trial people suspected of affiliation with terrorist groups” while also criminalising “the intent or act of joining, recruiting, funding or arming terrorist organizations inside or outside Jordan.” The bill was clearly aimed at Jordanian Islamists who slip across the border to fight in Syria, “whom officials deem a major national security threat.” Since December, 120 suspected fighters have been arrested as foreign enemy combatants in the military-run state security court, and more than 40 have been convicted. “Right now, any Jordanian who goes to fight in Syria is arrested upon his return to the country and sent to the court,” said government spokesman Mohammed Momani (http://www.washingtonpost.com/world/middle_east/worried-about-terror-attacks-at-home-jordan-steps-up-arrests-of-suspected-syria-jihadists/2014/04/25/6c18fa00-c96d-11e3-95f7-7ecdde72d2ea_story.html?wprss=rss_middle-east). A second part of this article will give an update on the US role in all this. While this would be a useful enough issue in itself, the connection here is the possible contention that not only the Gulf monarchies, but the US itself, may also secretly support the Islamists over the secular opposition in order to detract the revolution from its democratic impulse and divide the masses. However, as I have shown that, however logical it may sound, this has not been the role of the Gulf monarchies overall, then there can be no question of the US supporting the Gulf on this. However, even to the extent that the Gulf monarchies have partially funded moderate Islamist movements at different times, are at least partially amenable to trying to co-opt and control them, the US has always remained relentlessly opposed – indeed the big public spat between the US and Saudi Arabia in the second half of 2013 had much to do with the refusal of the US to arm anyone – secular or Islamist. However, to the extent that the US has offered to perhaps send a few arms to some highly vetted “moderate” rebels it has always been precisely on the basis that they use such arms to launch an all-out war on the jihadists – the US strategy being to let all wings of the anti-Assad resistance kill each other.